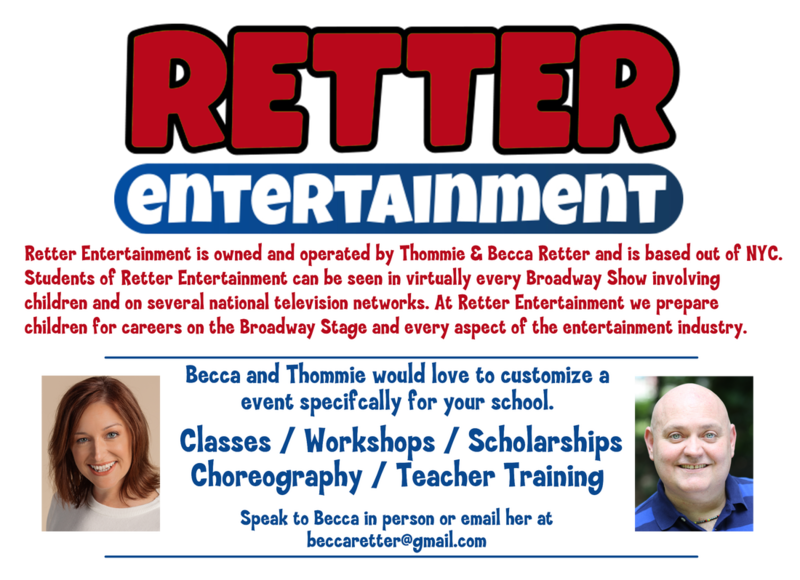 Welcome to the Official Website of Retter Entertainment. We're so glad you found us and we welcome you to visit all of the pages in our site to learn how we can best serve you and your entertainment needs! ​Liza Retter and Victoria Csatay perform a duet at a Path Fund/Rockers On Broadway charity event and they did not disappoint! Special thanks to Cori Gardner and Donnie Kehr. Please help NYC TAP CREW raise funds for their float! Thommie dances for you in this clip!